Periodontal disease, most commonly referred to as gum disease, is an infection of the gums that gradually destroys the bone that supports your teeth. Dental plaque is the primary cause of gum disease in susceptible individuals. In fact, adults over age 35 lose more teeth to gum disease than from cavities. Three out of four adults are affected at some time in their lives. Periodontal disease can be accelerated by a number of different factors like smoking and diabetes; however, it is mainly caused by the bacteria found in dental plaque. Plaque is present in a protected structure called “biofilm,” a sticky substance that adheres to the tooth. 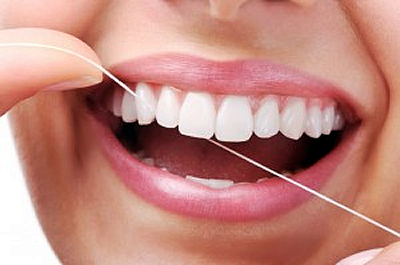 The best way to prevent gum disease is effective daily brushing and flossing as well as regular professional examinations. Unfortunately, even with the most diligent home dental care, some people still can develop some form of periodontal disease. Once this disease starts, professional intervention is necessary to prevent its progress. Our doctors combine the traditional “scaling and root planing,” a procedure that cleans out the plaque and tartar under the gums, with advanced laser therapy. Once the area is cleaned, they use a laser to sterilize the pocket and kill the remaining bacteria to promote an ideal environment for healing. Find out more about how Adams Dental can treat periodontal disease.